Two of my books have been nominated for this prize and I am SO EXCITED!!! 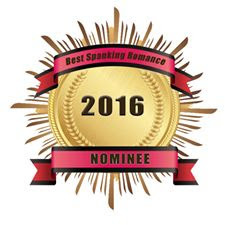 I have been nominated in the best spanking romance author category! And two of my books have been nominated too! But please vote and share the word! Thanks so much Roz! I found it really hard to vote because there are so many great authors and books that have been nominated!